Hello, summertime. Sunblock is out, shorts are on, and nothing sounds quite as good as a nice cold cocktail. Memorial Day weekend is a great time to experiment with new recipes. 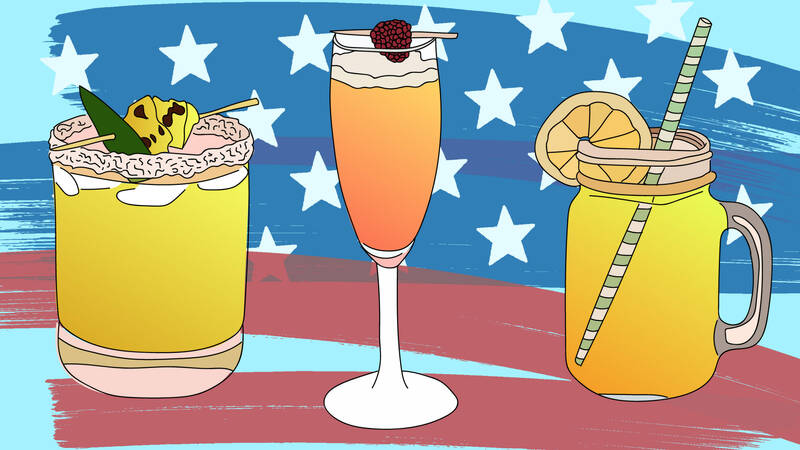 Whether you’re looking for a drink that’s red, white and blue or just something that feels like pure summertime, we’ve got some seriously delicious boozy drinks that you’ll be excited to try. Break out your bar cabinet. It’s time to get sipping. 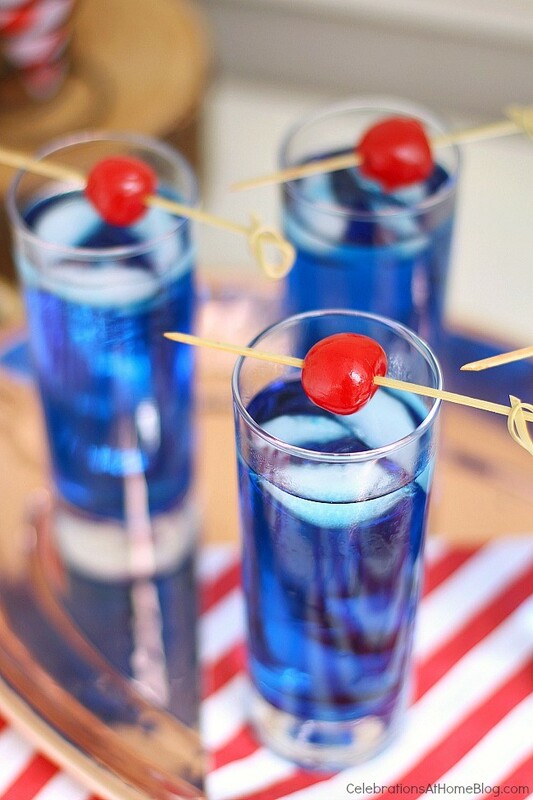 Combine the blue curaçao, coconut rum and ginger ale and pour it over ice. Put the frozen raspberries in a large glass pitcher or dispenser. Top them with the peach nectar and prosecco.? Fill the rest of the pitcher or dispenser with ice cubes. Stir and serve cold. In a clean container with a lid, put the tequila and jalapeño slices. Shake to combine, and allow the flavors to meld for 12 to 24 hours, depending on how spicy you’d like it. Once the flavor has developed to your liking, strain the jalapeños and discard them.? The tequila will keep for up to 1 year. Store it in the freezer for best results. To get your grilled pineapple, cut 4 (1-inch-thick) rings, discarding the rind and removing the core. Preheat your grill to medium-high and oil it lightly. Grill your pineapple for 4 to 5 minutes on each side until you get nice grill marks and it begins to soften slightly.? Place the grilled pieces in a bowl and allow them to cool completely in the refrigerator.? 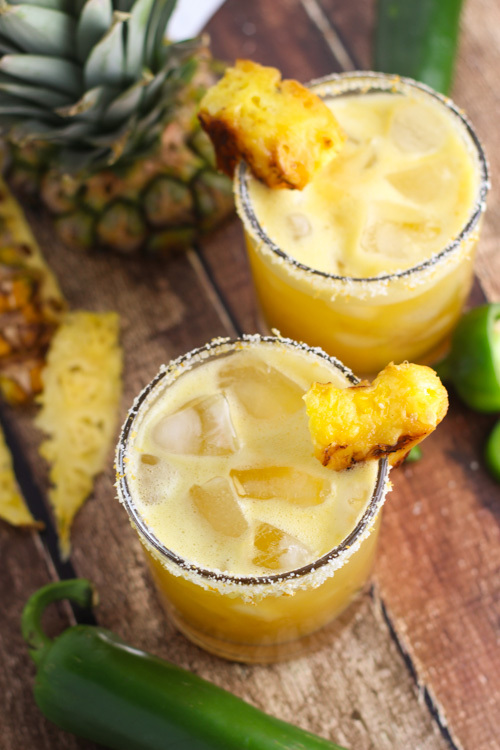 In a blender, add the jalapeño-infused tequila, triple sec, 2 slices of the grilled and chilled pineapple (and any juices that have accumulated in the bowl), lime juice, agave nectar, vanilla extract and water. Blend until smooth, then strain through a fine-mesh sieve to remove the pulp from the pineapple.? To salt the rim of a glass, run a lime slice or pineapple wedge around the lip of your glass and dip it into salt to cover.? Add crushed ice to your glass, pour in your margarita mixture, and garnish it with extra grilled pineapple and/or lime wedges.? The night before, pour the lemonade into ice cube trays and freeze. 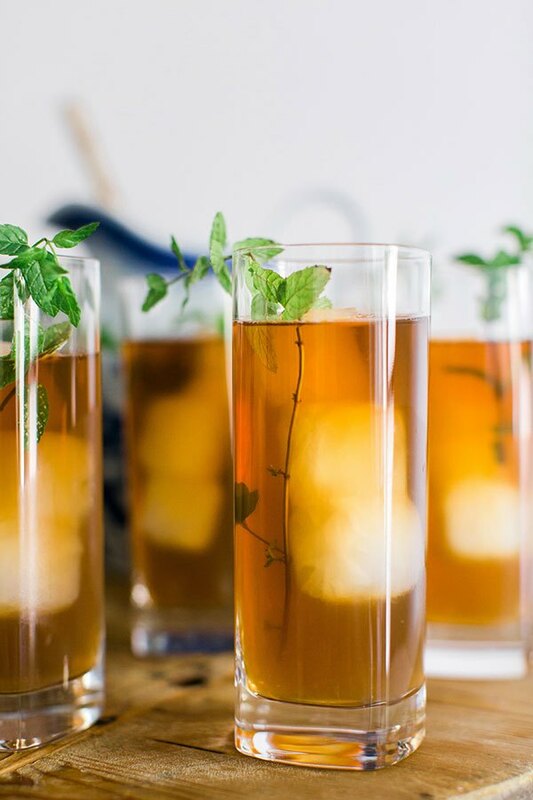 Fill each glass with lemonade ice cubes, and add the vodka, filling it up with ice tea. Stir, garnish with your herb of choice and enjoy. Fill four glasses (preferably copper cups, but any cocktail glass will work) with ice. 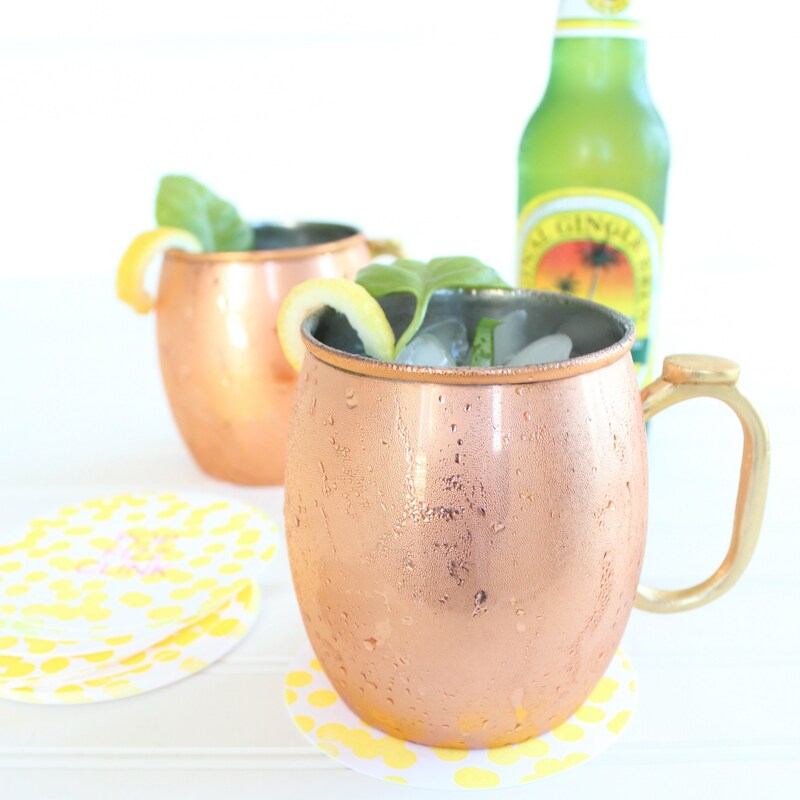 Add 2 ounces of vodka and 6 ounces of ginger beer to each glass. Squeeze one quarter of a lemon into each glass, then add a couple of pieces of fresh basil. 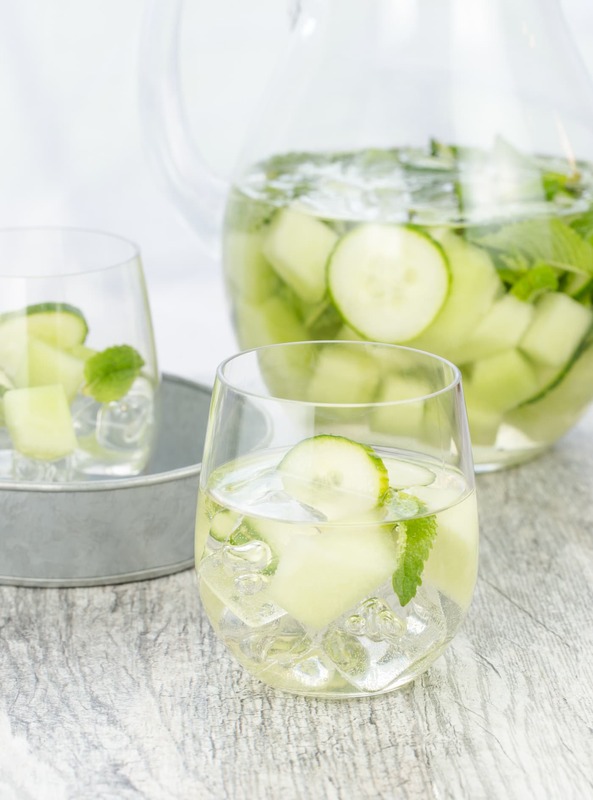 In a large pitcher, combine the white wine, gin, sugar, honeydew melon, cucumber and mint leaves and still well. Refrigerate at least 3 hours (more if possible). Just before serving, pour in the sparkling water and gently stir to combine. Serve over ice. 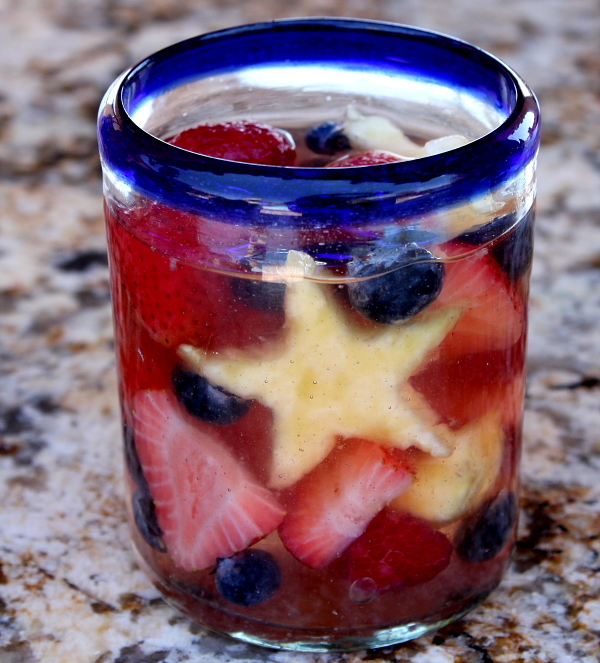 In a large punch bowl or pitcher, combine the white wine, triple sec, berry vodka, lemon juice, simple syrup, blueberries, strawberries, raspberries and pineapple chunks and stir well. Cover and refrigerate at least 4 hours. 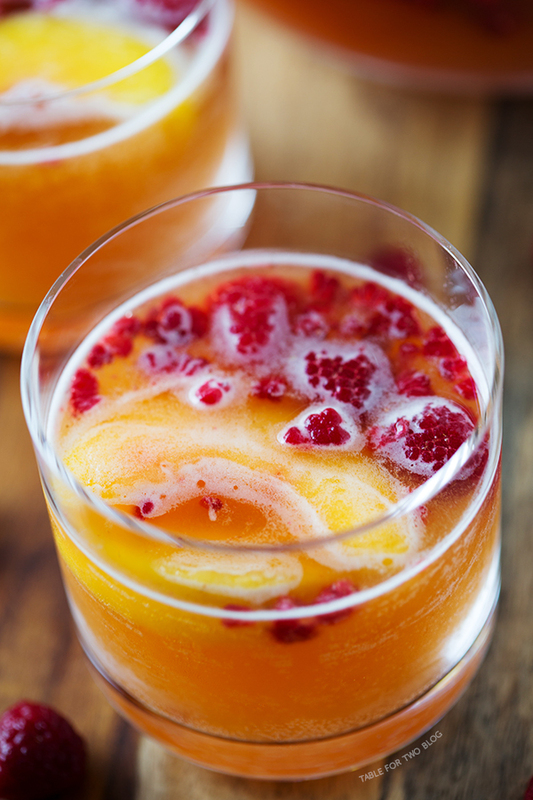 Serve well chilled with a good scoop of fruit floating in each drink or serve over ice.